I’ve loved dogs since I was old enough to crawl. I even have a scar on my forehead from my Uncle Karl and Aunt Helen’s Poodle — it was the dog’s way of telling me to stop crawling after her, and the incident obviously didn’t dissuade me. One of my earliest memories is of the day I followed our farm dogs everywhere they went, until suddenly I looked back and saw our house as a tiny speck in the distance. I think I was 3 or 4 years old at the time. I don’t remember being scared. What I do remember was pure joy, until, of course, my frantic mother found me. There are 11 novels in my FBI profiler series starring special agent Maggie O’Dell. I’ve been truly blessed to see that series become an international success, hitting bestseller lists in Australia, the UK, Poland, Germany, Italy, and Japan, as well as the United States. I owe its success, partly, to the extensive research I do and the incredible experts who graciously share information along with their real life experiences. It was one of those experts who told me about cadaver dogs and their amazing scent capabilities. Ever since then, I’d been chomping at the bit to include a scent-detection dog in one of my novels. In 2013, that’s exactly what I did in Stranded, the eleventh Maggie O’Dell novel. I introduced Ryder Creed, a former Marine K9 handler who—along with his partner, Hannah Washington—runs K9 CrimeScents, a 50-acre training facility in the Florida Panhandle. I also introduced Grace, who has quickly become my favorite character. Grace is a feisty, scrappy Jack Russell Terrier. She’s one of Creed’s favorites as well. He’s trained her to be a multi-task scent dog. But when Creed first found Grace, she was skin and bones, a frightened little dog dumped at the end of his driveway. This is one of things that makes the Ryder Creed series special and different from other K9 series: Creed rescues abandoned dogs and turns them into heroes. But in many ways, the dogs rescue Creed, too. When I introduced Creed and Grace in Stranded, I knew long before I finished writing the manuscript that I wanted Ryder Creed to have a series of his own. In each novel, he manages to get tangled into other people’s problems. I like to say that Ryder Creed is a reluctant hero, because he’d much rather deal with dogs than people. And in this way, I feel I’ve found a kindred spirit in Creed—both of us would be content to live our lives simply in the company of dogs. What I love most about this series, which includes the recently published Reckless Creed, is what I’m learning about dogs. Yes, I still have to do research even though dogs are something I know and have been passionate about all of my life. The world of scent detection is fascinating. So research is still a major part of my work, but now instead of talking to FBI agents and CSI techs, I’m listening to the stories of dog handlers and trainers. My veterinarian has become a cherished resource. I like to say she gives me my dog creds and keeps it real. My entire life I’ve surrounded myself with dogs, some of whom have been rescues. I’ve had as many as six in my pack at one time. Each and every one of them has been a special member of my family—their entrance, a celebration; their exit a deep and profound sadness. With my new series, I am finally writing all about something that I love. Dogs! 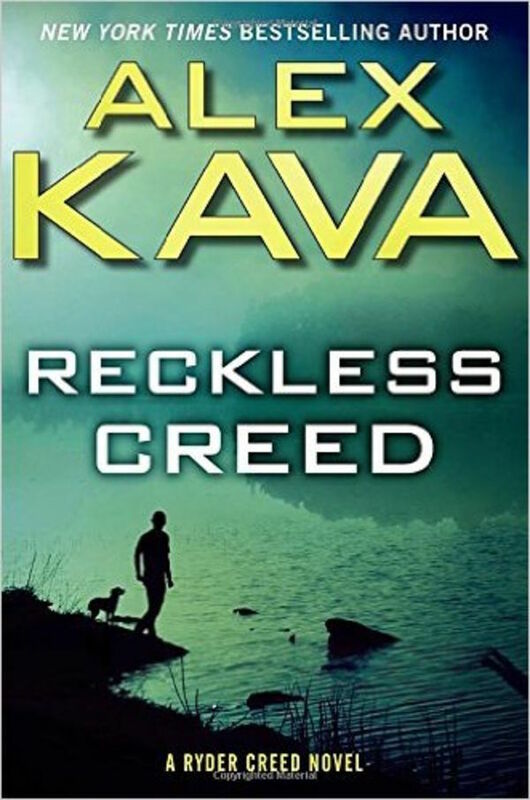 About the author: Alex Kava is the New York Times-bestselling author of 13 novels, including Breaking Creed and Silent Creed, as well as the internationally bestselling mystery series featuring FBI profiler Maggie O’Dell. Her novels have been published in more than 20 countries around the world, and she is a member of International Thriller Writers. Alex and her beloved Westie, Maggie, and divide their time between Omaha, Nebraska, and Pensacola, Florida. The post How a Lifelong Love of Dogs Inspires My Mystery Novels appeared first on Dogster.